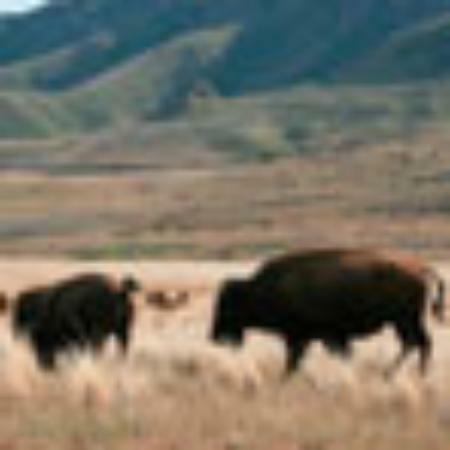 After we pick you up at El Monte Sagrado Resort in Taos, you will journey along the scenic Rio Grande corridor to the Rio Grande Del Norte National Monument. 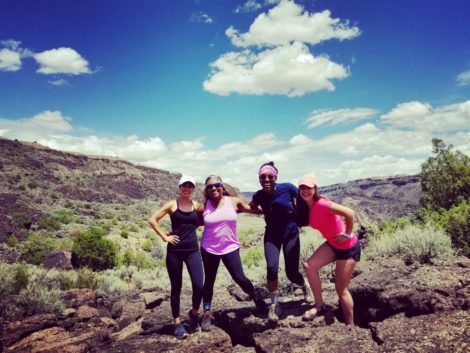 Our first stop will be to hike along the 2 ½ mile, 6,400-foot drop rim of the Rio Grande Gorge, offering breathtaking scenery and spectacular panoramic views. You’ll be sure to take in the famous Taos Box overlook to see the plunging steep rustic red/orange walls of the canyon while you delve deeper into this 2.8 to 4.8 million-year-old lava and mesa topped wilderness area. You’ll learn to identify juniper, piñon, apache plume, sagebrush and cane cholla as you learn about the geological forces that etched this land. 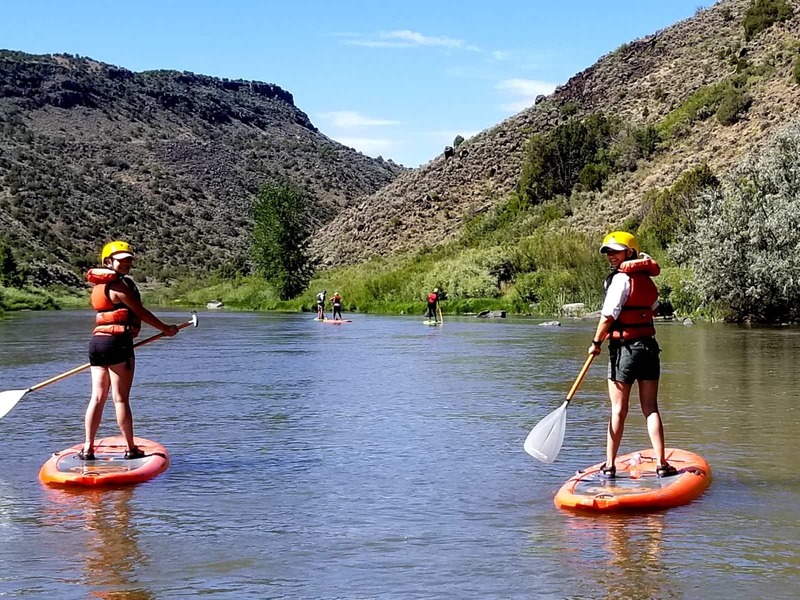 Next, after you’ve worked up a sweat, we’ll go down into the belly of the Rio Grande Gorge to the water’s edge and meet up with the New Mexico River Adventures team and you’ll see why they pride themselves on full-service amenities and easy access to your water voyage. You’ll have your choice of a stand-up paddle board (SUP), kayak or raft, which also means your tour group members can mix and match their river transport medium. Upon meeting your River Adventure guide, you will have a safety and orientation talk, preparing you for either your novice or experienced river journey. Your guide will carefully select a section of river for you to forge an unforgettable experience – mild to wild – the choice is yours. Luckily for you, the Rio Grande is the perfect destination for all water enthusiasts because it offers a cross section of abilities. 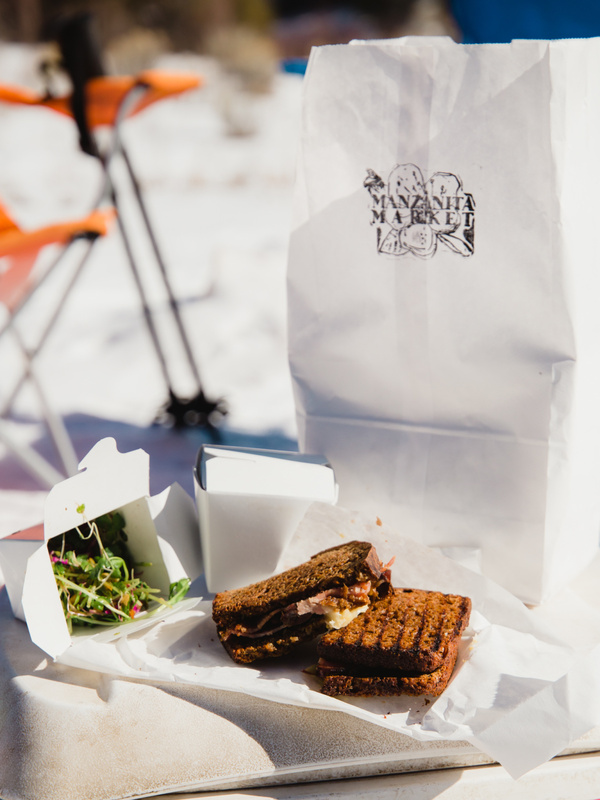 You’ll be given the charge to paddle to your lunch destination, where you will enjoy a delicious gourmet riverside picnic lunch. 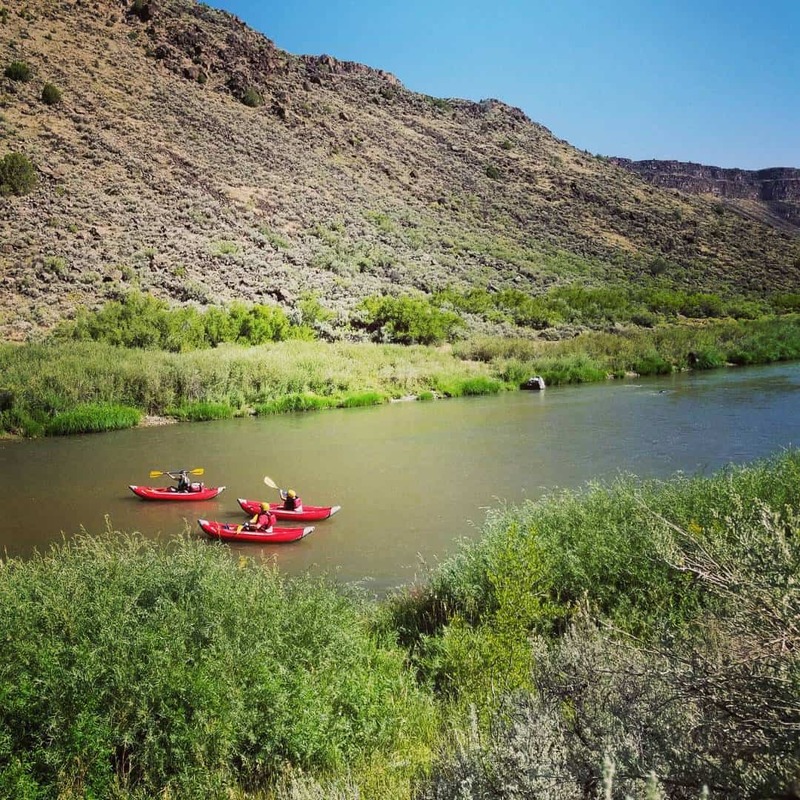 Absorb the chiseled basalt canyon walled view, while you nourish and rejuvenate yourself after a good adventurous day exploring the Rio Grande Monument by ground and by water. Finally, to finish off your tour and wind down from the day’s physical activities, we’ll shuttle you southward to the Vivác Winery for a local tasting. Here, you’ll be given your choice of a glass of wine, a pint of beer, or a pint of local cider. 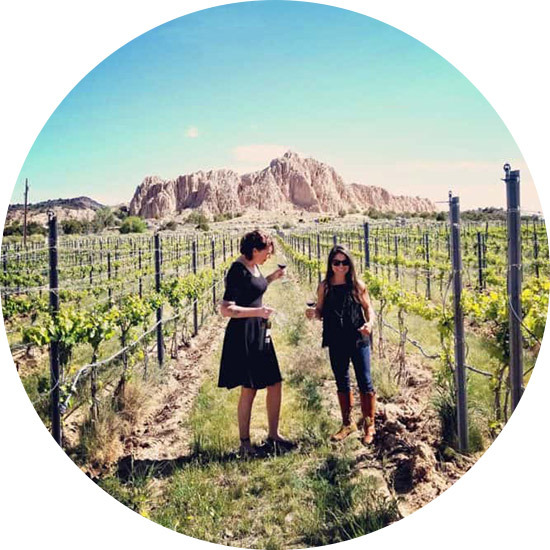 Vivác, a Spanish term meaning “high-altitude refuge,” is a family love affair of handpicked New Mexican grown grapes, known by Wine Enthusiast Magazine as the Highest Rated Red Wine Producer in New Mexico’s History. We encourage you to bring a backpack, water bottle and a change of clothes for the hiking phase of the outing, but rest assured this all-inclusive tour comprises all your water sport needs, as well as a gourmet picnic lunch and lively guided perspectives. 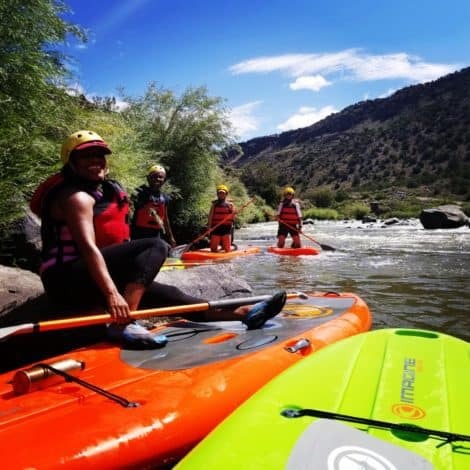 So, hike breathtaking views above your watery escapades where you can kayak or stand up paddle board or raft the glorious waters of the Rio Grande Gorge and then partake in locally grown libations, for an unforgettable adventure that will be the highlight of your Taos trip! 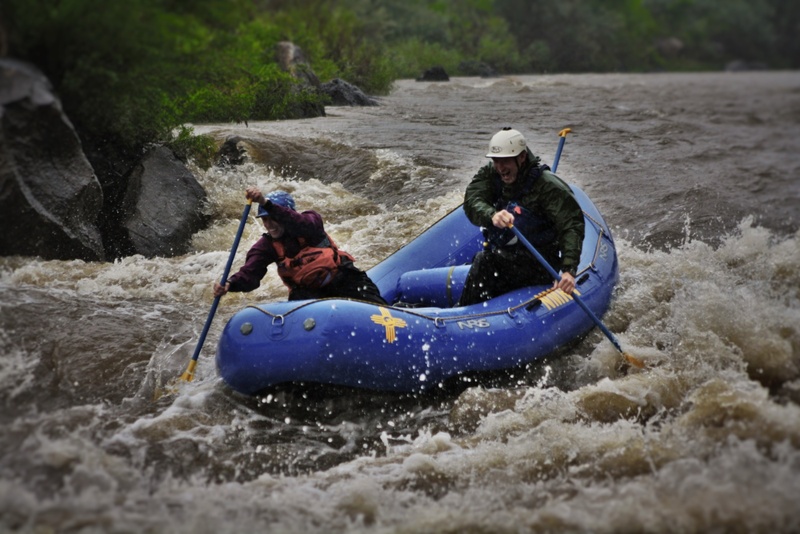 Wendy and Matt are our local partners and owners of New Mexico River Adventures that have dedicated their lives to exploring and running rivers all over the US and beyond. 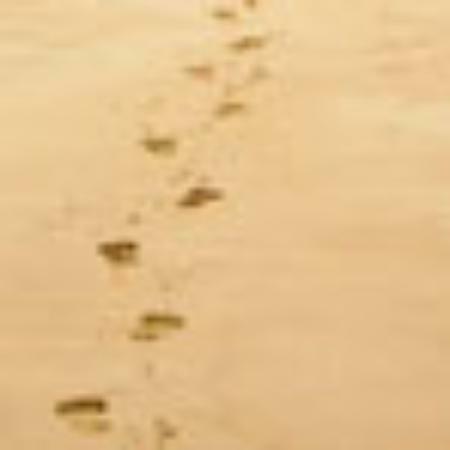 From Zambia to Chile to New Mexico, they have enjoyed some of the greatest river trips in the world. After meeting in New Mexico in 2001, the Rio Grande and Rio Chama always held a special place in their hearts. 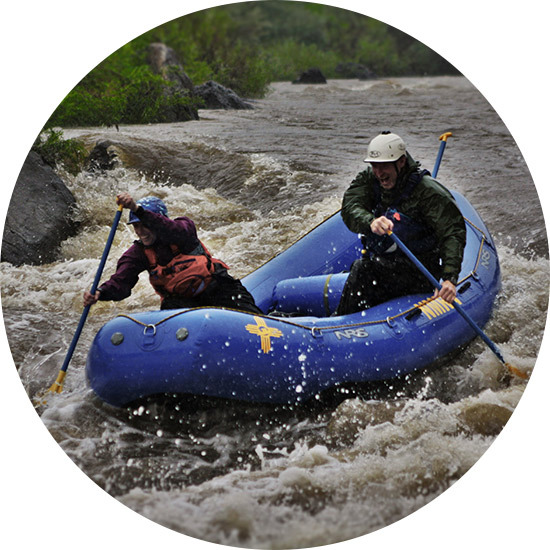 Luckily, they were able to start New Mexico River Adventures in 2011 and settle down in gorgeous northern New Mexico. Now with their 4 year daughter, Scout, the adventure continues into the next generation of New Mexico river runners! Our incredibly talented friends and professionals at Vivác Winery have a commitment to excellence & are the Highest Rated Red Wine Producers in New Mexico’s History! 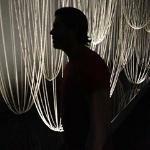 Fresh & young, edgy & sophisticated, Vivác offers you something out of the ordinary! Vivác is the creation of brothers Jesse and Chris Padberg, along with their wives, Michele and Liliana Padberg, respectively. In November of 1998 Jesse and Chris embarked on a new mission “to make the best wine possible and have a good time doing it!” This meant professionally crafted, world-ranked, dry red wines-a first for New Mexico. Indulge in the local flavor of 100% New Mexican grown grapes while enjoying our picnic lunch offering a breathtaking view of their vineyards along the Rio Grande corridor.